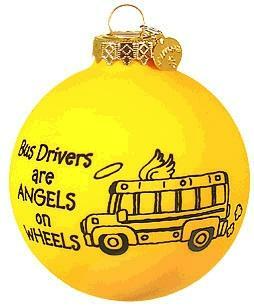 This unique 3" double-sided glass ornament features a picture of a school bus and the phrase Bus drivers are ANGELS on WHEELS printed in black along the smooth, yellow surface. 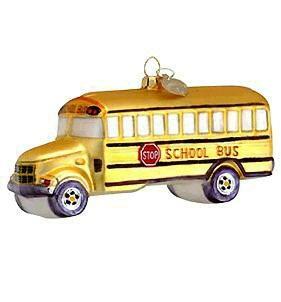 Delightfully detailed, our yellow school bus is perfect for children, teachers, and those dedicated bus drivers. Ornament measures 4" long and is made of glass. 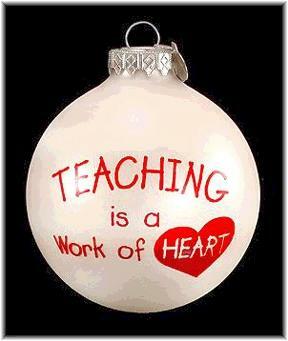 "Teaching is a work of heart" - So surprise a teacher with this work of art! This cute, unique 3" glass ornament shows touching appreciation for the caring efforts of teachers. � 2003 SchoolBusShop.net - All Rights Reserved.